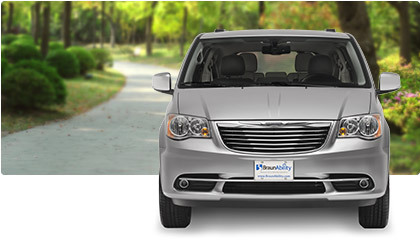 Drive-Master offers Side Entry Wheelchair Accessible Van Conversions for the Dodge Grand Caravan and Chrysler Town and Country with BraunAbility, VMI Vantage Mobility and Eldorado Amerivan. 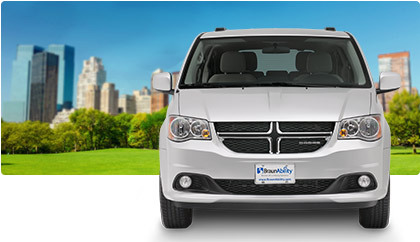 Below are all the different Dodge/Chrysler Side Entry Minivan Conversions we offer. One of the most popular wheelchair vans in the industry, the BraunAbility Dodge/Chrysler Power fold out ramp conversions offer two options for door entrance height. The standard Power at 52 -1/2″ and the Power XT at 56-1/2″ for greater entrance and interior height. That’s an additional four inches more than standard side-entry models! The solution-driven Dodge/Chrysler Power Infloor offers innovative infloor technology on a proven, dependable chassis. Our 32″ wide ramp accommodates more wheelchair and scooter sizes than any other infloor system. Coupled with our exclusive Customer Convenience Package, which features chimes and a lighted ramp upon deploy and stow, this is a first-class mobility option. The Dodge/Chrysler Companion Van offers the accessibility of a traditional lowered-floor minivan in a streamlined, economical package. With center only wheelchair accessibility, manual door and manual bi-fold ramp (optional power ramp available), the vehicle is the perfect choice for those who travel with an attendant. The Dodge/Chrysler VMI Northstar has a fully-powered, slide-out ramp that creates an uncluttered interior and obstruction-free doorway. With noise-minimizing engineering and a selection of Dodge/Chrysler’s most popular features, the Dodge/Chrysler Northstar offers an enjoyable ride. The Dodge/Chrysler VMI Summit has a durable, power fold-out ramp that offers reliable deployment and high side rails for safe and easy navigation. With noise-minimizing engineering and a selection of Dodge/Chrysler’s most popular features, the Dodge/Chrysler Summit offers an enjoyable ride. Setting new standards for quality engineering, creative design and meticulous craftsmanship, the Dodge/Chrysler Amerivan provides practical solutions to today’s mobility challenges. The Amerivan offers a Power Fold Out Ramp, Stainless Steel Flooring, 31″ wide Ramp and two options for door entrance heights, 52″ and 56″ for greater entrance and interior height. 3.6 liter V6 24-Valvle Engine & 6 Speed Auto Transmission.